Replace your worn out, stained carpet in your SVT Lightning with the new replacement dark gray carpet! The SVT Ford Lightning is a desirable, limited edition production vehicle, that deserves the highest quality aftermarket parts. That is why we offer Mass Back carpet from ACC. What is Mass Back? Mass Back is a tough, rubber layer formed between the carpet and the jute insulation that increases form and rigidity, while decreasing road noise. The rubber is a composed of ethylene vinyl acetate and is spread 40mil thick to add moldability, sound deadening, and insulation. Mass Back carpet more closely duplicates the original carpet that your Lightning came with from the factory. Replacing the carpet in your Lightning is one of the easiest and most effective ways to improve the conditions of your interior. It is a simple, one person installation and can be done in just one day. Our high quality ACC Mass Back carpet is pre-formed and molded to fit your limited edition pickup for a seamless, OE look. Installation will require cutting for bolt holes and trimming of excess material. ACC pre-formed, molded Lightning floor carpet is made of heavy weight 16oz cut-pile carpeting combined with 40oz jute padding. This combination makes for a beautiful, long-wearing carpet. 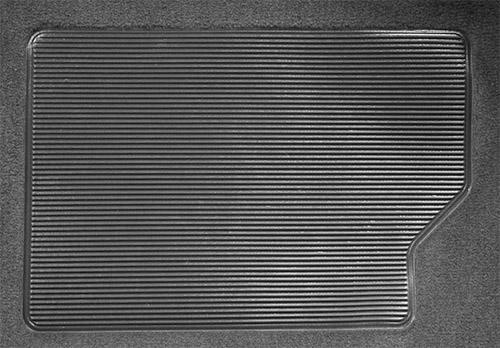 This weight coupled with a factory style backing gives your new Lightning carpet a "mold memory". Once it’s installed, it continues to shape itself to the contours of your floor. Remember, when you take it out of the carton, the weight of the carpet and padding will tend to cause it to "flatten out" but once it’s on the floor of your SVT, it will return to shape. 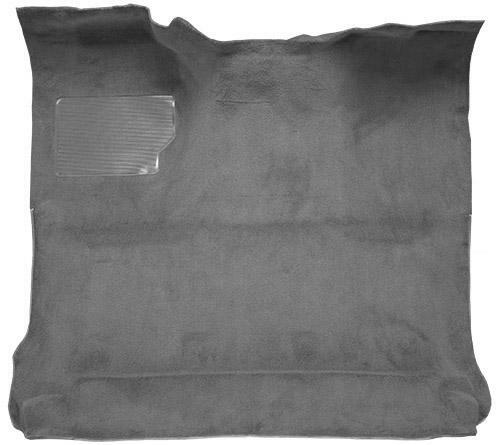 Jute sound deadening material works in conjunction with the Mass Back to help insulate your Lightning from road noise and engine heat. 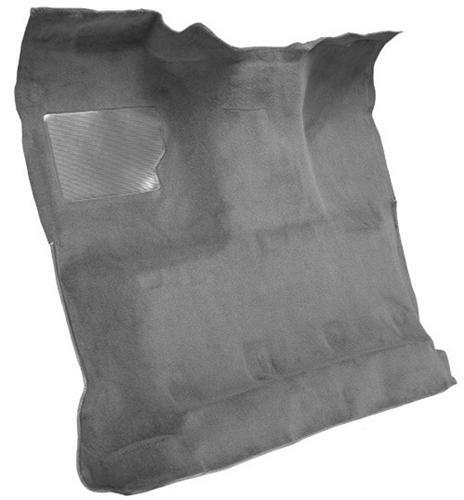 ACC jute sound deadening meets federal standards for flammability retardation. It’s the perfect beginning when replacing your Lightning's carpet and to increase its durability. As is the case with many late model vehicles the late model Ford Lightning came from the factory with cut-pile style carpet. Cut pile carpet is a form of carpet that involves a strategic cut of the loops that are created during the weaving of a carpet. The loops are cut to the same height and allowed to tuft slightly. This approach gives the carpet pile the appearance of softness and often appears to be very dense and provides a cushion for the foot. Auto Custom Carpet is the world's leading manufacturer of automotive floor covering. We are proud to offer such high quality carpet for your SVT. All ACC floor carpet is made to original specifications including correct heal pad, fastening material, and jute backing for a PERFECT FIT!